Recently few images of the Oppo F11 have been leaked by Ishan Agarwal on twitter. The images reveal that the upcoming Oppo F11 device will have a Periscope selfie camera. According to GSM Arena, the device is reportedly Oppo F11 but we are not sure if the smartphone in the below image are of Oppo F11 or R19. One thing we are sure of is that if the device is the Oppo F11 it will be having a periscope selfie snapper. 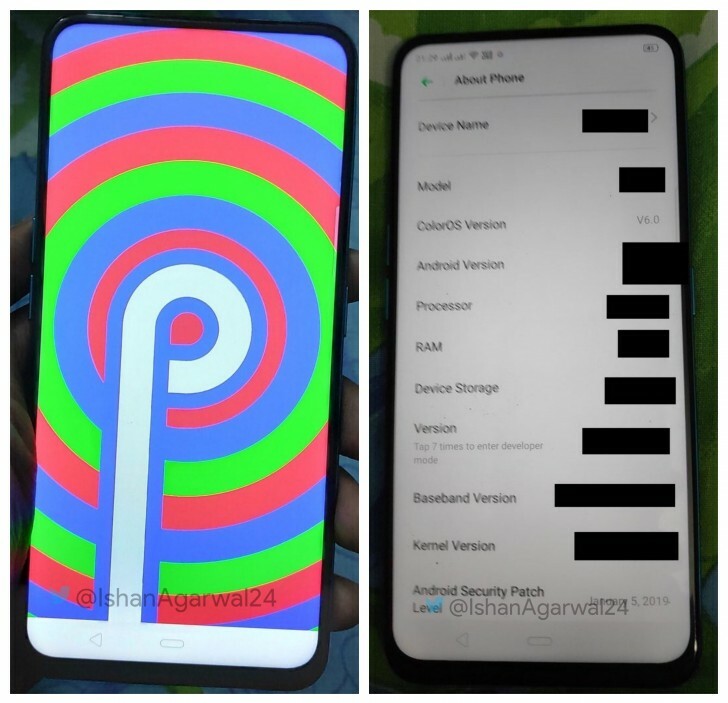 From the images, we can see that the device has thick bezels which are common in F series and the fingerprint sensor also has a similar design to that of OPPO F9. But on the other hand, the shape of the cameras resembles that of the Oppo R17. Do let us know in the comments section down below. Also, do not forget to subscribe to Trending Leaks. To do so, just tap the bell icon at the bottom of your device screen.